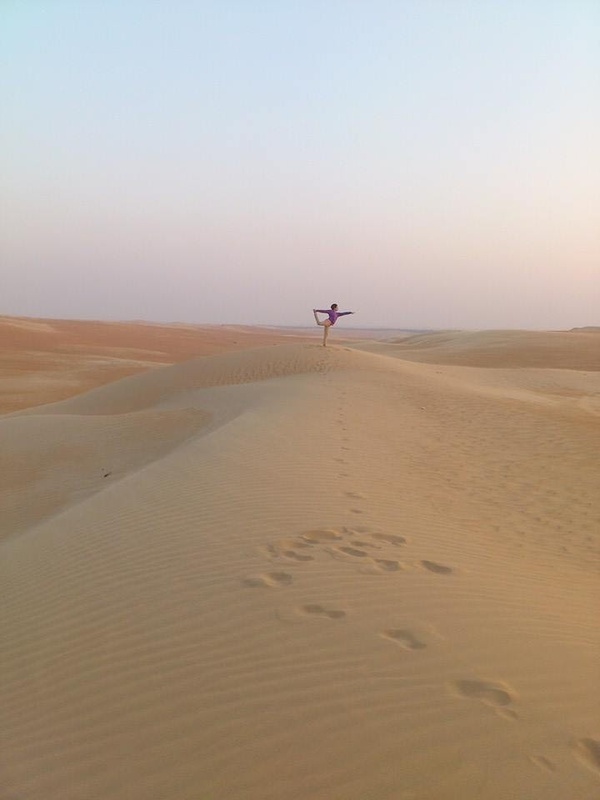 On my second day in Abu Dhabi my cousin and I took a road trip out into the desert to stay at a beautiful resort she had booked us. Having never been to a desert before, the drive out was a unique experience. Being a desert there isn’t much to see, other than sand dunes, camels and rows of date palms, which have all been manually planted and require an alarming amount of irrigation for the entire stretch of highway. One thing I was not prepared for was the driving conditions, luckily I wasn’t required to do any driving, but even as a passenger I was very uncomfortable with the other drivers. The speed limits are almost completely ignored and turning signals are not used…I once saw two cars ahead almost turn into the same spot in the centre lane as neither of them bothered to indicate. For the most part the roads are not patrolled. Instead radar meters equipped with cameras have been placed alongside the road. Thus if someone is speeding they simply have their license plate snapped and are sent a ticket. However, a monetary punishment does little to deter those with unlimited funds. Furthermore, if you drive along a road frequently, you learn where the radar is placed and can slow down in time to avoid a ticket. Once we arrived at the resort we were almost refused check in as I had not brought my passport with me, which is required to book into any hotels in the UAE. Luckily, as we were not prepared to make another three hour drive back to the city, I had a photocopy of my passport in my wallet, which sufficed. 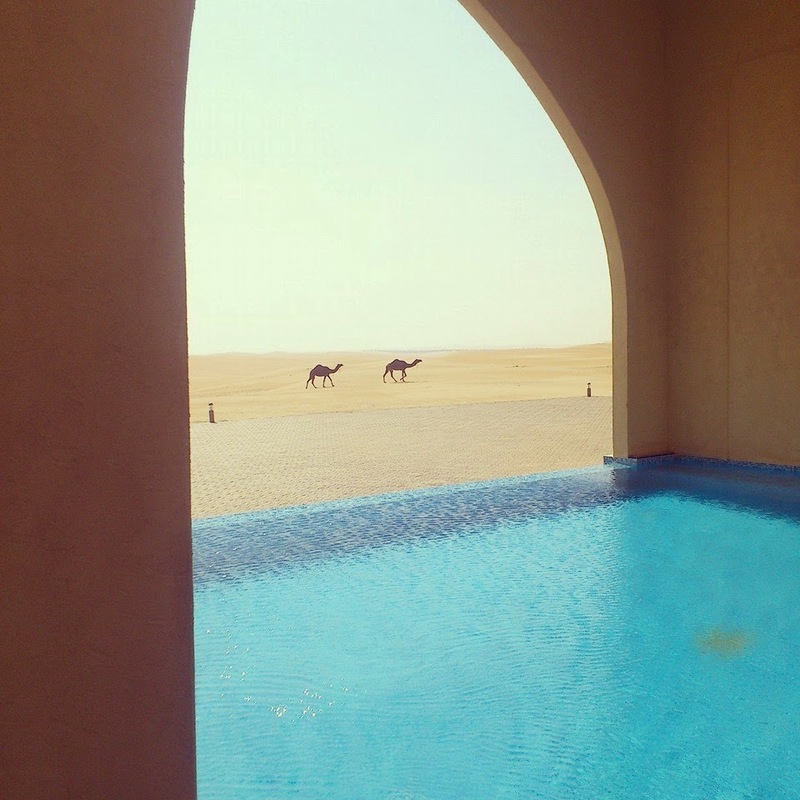 The resort we stayed at was the Tilal Liwa Hotel and it was beautiful. It is built literally in the middle of the desert. The infinity pool looks out over the vast desert landscape. You could, if you were unfortunate enough to find yourself wandering through the desert, walk up through the back of the hotel and go for a swim in the pool, or play some life size chess. 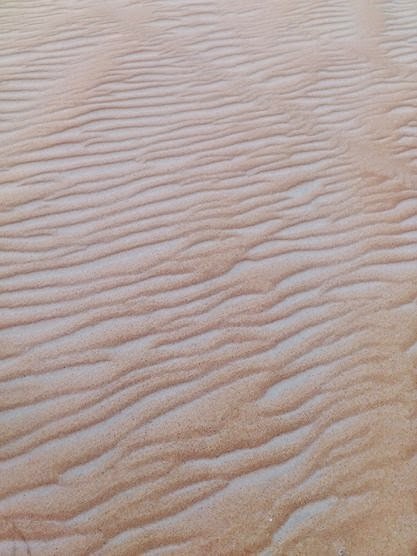 The resort had a few Bedouin houses set up in the sand. These were the original Arabic houses used by desert tribes. After dinner my cousin and I went for a little stroll through the dunes. It was incredible watching the sun set over the desert and by far one of the most memorable experiences of my trip. 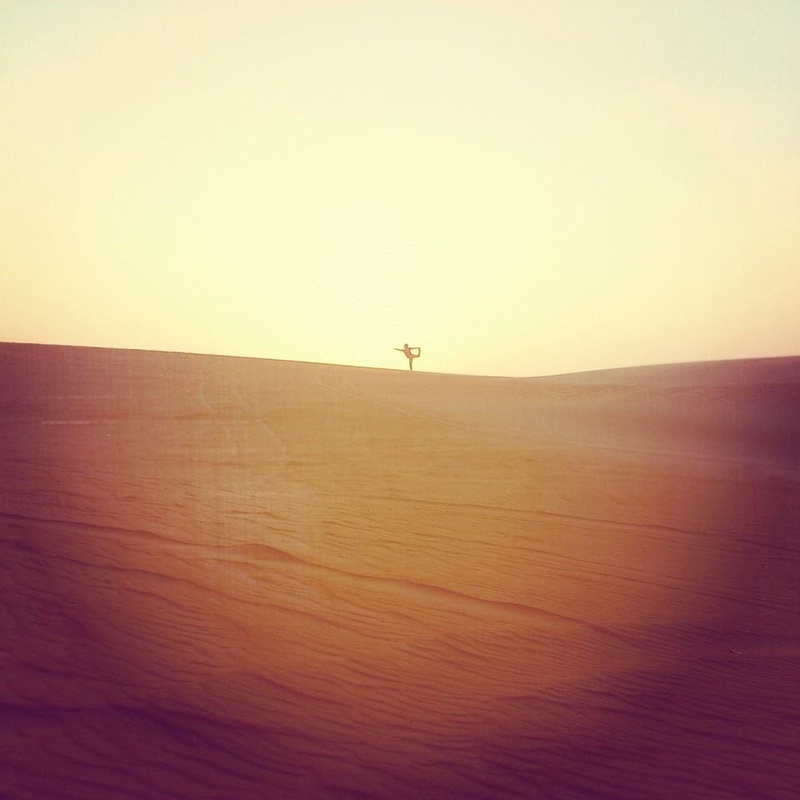 Despite how the UAE has grown into large cities, money, extravagance, the desert remains still untouched and is fascinating to see. Today I did a bit of urban exploring, which I will post on tomorrow!